In most sports, vision drives performance. So to excel during competition, you should make sure your eyesight is in top shape. Even if you have 20/20 vision, the right sports eyewear can reduce glare and enhance contrast to help you see even better and react faster. Sports vision specialists agree that sports eyewear can have a profound effect on athletic performance. And research backs up this belief. In 2003, a sports vision study conducted by British optometrist Geraint Griffiths and other researchers evaluated the effect of mildly blurred vision on the performance of Wimbledon tennis players and UK national clay pigeon shooting champions. * Athletes in the study wore special goggles that only slightly blurred their vision. The tennis players' performance was evaluated by how accurately they could return a ball to an archery target set at the opposite baseline. The rifle shooters were judged by the number of clay pigeons they hit. While wearing the vision-blurring goggles, the tennis players returned 62 percent more balls off-target than normal, with 47 percent fewer bulls-eyes. Overall, the tennis players and shooters demonstrated a 25 percent worsening of performance when their vision was only slightly blurred. "Until now, we believed that [an athlete's] mental ability to predict, say, the trajectory of a ball, is more important than whether the ball is slightly blurred," said Griffiths. Since this landmark study, other sports vision researchers have confirmed the importance of proper vision correction and visual skills in sports performance. From ongoing studies, experts have identified some of the key features needed in sports glasses to provide maximum benefits. Badminton Protective sports eyewear (goggles or glasses made with polycarbonate or Trivex lenses). Baseball For batting and base running: Helmet with attached polycarbonate face shield. For fielding: Sports goggles or sport sunglasses with shatter-proof lenses and an attached head strap. Basketball Wraparound sports goggles or glasses. Bicycling Performance sunglasses with anti-fog and anti-scratch lens coatings. Boxing There is no protective eyewear for boxing. 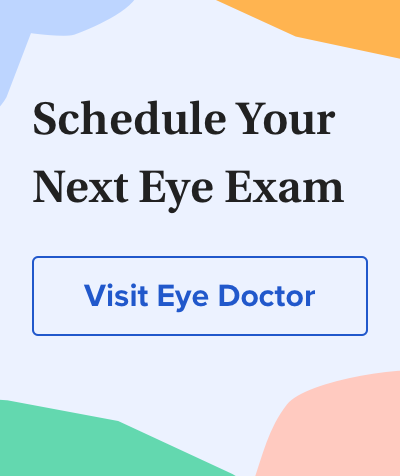 Keep in mind the risks you take when stepping into the ring and make sure you get regular eye exams to check for scratched corneas ( corneal abrasion) and retinal detachment. Fencing Full-face protective mask made of a fine mesh of rigid metal. Field hockey All players: Sports goggles with secure head straps. Goalies: Full helmets and face masks. Fishing Polarized sunglasses with anti-reflective coating. Football (American) Polycarbonate shield attached to helmet. Handball Sports goggles with polycarbonate or Trivex lenses. Hunting and shooting Polarized, shatter-resistant shooting glasses. Lacrosse Form-fitting and padded face mask. Racquetball Sports goggles with polycarbonate or Trivex lenses. Skiing and snowboarding Ski goggles or wraparound polarized sunglasses with mirror-coated lenses. Softball For batting and base running: Helmet with attached polycarbonate face shield. For fielding: Sports goggles or sunglasses with shatter-proof lenses with an attached head strap. Squash Sports goggles or glasses. Street hockey All players: Sports goggles with secure head straps. Swimming and diving Swim goggles and diving masks. Tennis Sport sunglasses with a lightweight wraparound sport frame and polycarbonate lenses. Track and field Lightweight wraparound sport frame with polycarbonate lenses to protect against wind and debris. Volleyball Sports goggles or sunglasses. Water polo Swim goggles with polycarbonate or Trivex lenses. Experts agree that most sports-related eye injuries can be prevented if athletes wear protective eyewear, such as safety goggles with polycarbonate lenses. Ski goggles should be considered a must on the slopes, and face shields (either "cages" or clear polycarbonate shields) should always be worn by catchers in baseball or softball, and by anyone playing hockey, American football or paintball. According to the Consumer Product Safety Commission, more than 42,000 sports-related eye injuries require emergency room attention each year in the United States. The commission also says that approximately 72 percent of these injuries occur in people younger than 25, and about 43 percent occur in children younger than 15. Although kids may resist the idea of wearing safety glasses during sports, parents and coaches should insist. And if you or your child play paintball, do so only at facilities that require continuous wear of polycarbonate shields. Safety eyewear also is a requirement for participation in Little League baseball. But eye protection is not just for kids who play hockey and other sports. As an example, many of the top players in the National Hockey League — including Alex Ovechkin, captain of the Washington Capitals and the league's highest-paid player in 2010 — wear visors made of impact-resistant polycarbonate to protect their eyes when they are on the ice. Also, never use "dress" eyeglasses during sports. Glasses made for street or office wear are not made to the same protective standards as safety eyewear and will probably not hold up under impact. Eyeglass lenses that are not safety-rated could shatter, causing serious eye injuries. Likewise, frames that don't qualify as safety eyewear can break upon impact or cause the lenses to come loose and damage the eyes or face. (UV) radiation from the sun. UV rays have been linked to eye diseases such as cataracts and ocular tumors. Overexposure to UV radiation also can cause a "sunburn" on your eyes (called photokeratitis), which is very painful and can lead to long-term damage to the cornea. Skiers should always wear tinted goggles or sports sunglasses, since UV rays bounce off snow even on cloudy days. Boaters and sailors, too, need protection from UV rays that reflect off the water. You can choose from an almost endless variety of lens tints in sports sunglasses. Selectively filtering glare and certain colors can cause objects of a particular color on a specific background color — like a ball against the sky — to appear with greater clarity and contrast. Retego sunglasses by adidas Eyewear are designed specifically for golf, with distortion-free lenses in a tint that helps the ball stand out from the background. Tinted lenses that enhance the color yellow are desirable particularly in tennis, where they heighten the color of the ball and its contrast against the sky or stadium walls. Different lens tints can enhance specific colors for golfers, skiers, trap-shooters and other sports enthusiasts. For example, golf glasses with copper-colored lenses enhance the contrast of a white golf ball against the sky and the green background of fairways and greens. And some professional baseball players wear amber-tinted baseball glasses or sports contact lenses to help filter out blue light and increase their ability to see a baseball more clearly against the sky. Amber or rose ski goggle lenses enhance soft grays that mark shadows on a ski slope. Because these shadows indicate ridges or bumps in the surface, skiers and snowboarders "read" them to decide when to turn, so they won't catch an edge and fall. sports sunglasses reduce glare so athletes can see the ball or other players better. Anti-reflective (AR) coating is another glare reducer that works even at night, if you're playing under bright lights. Nike Hyperion III frames have two polycarbonate lens options, for sunny and flat light conditions. Click on photo for close-up. Photochromic lenses are another way to control light. These lenses are clear indoors and change automatically to a medium or dark sunglass shade outdoors, depending on the intensity of sunlight. The largest manufacturer of plastic photochromic lenses is Transitions Optical. Therefore, plastic photochromic lenses often are commonly referred to as "Transitions lenses." Transitions lenses also are available in polycarbonate, which is lighter and more impact-resistant than plastic, making it the most popular lens material for sports eyewear. Photochromic lenses are terrific for golf, where you move frequently from bright sunlight to shade during the course of a round. But they also work great for any outdoor sport on days when it's partly sunny, partly cloudy. For the ultimate light-control lenses, many opticians recommend adding anti-reflective coating to photochromic lenses to eliminate glare from the "bounce-back" of light from the back surface of the lenses. Getting the best possible eyewear to maximize your sports performance starts with your eyeglasses prescription. Make sure your prescription is up-to-date, and tell your eye doctor which sports you enjoy. Next, see a qualified optician for additional advice about the best frames and lenses for your particular sport and to view samples of different lens tints. Your optician's help in frame selection is critical, because the proper fit of sports eyewear is very important for both safety and comfort. When it comes to achieving your personal best in sports, remember that great eyesight is a key factor in athletic performance. You might want to put sports eyewear at the top of your list when you shop for gear and accessories to enhance your game. *The study, sponsored by CIBA Vision, was conducted in the United Kingdom by optometrists from the Sports Vision Association.